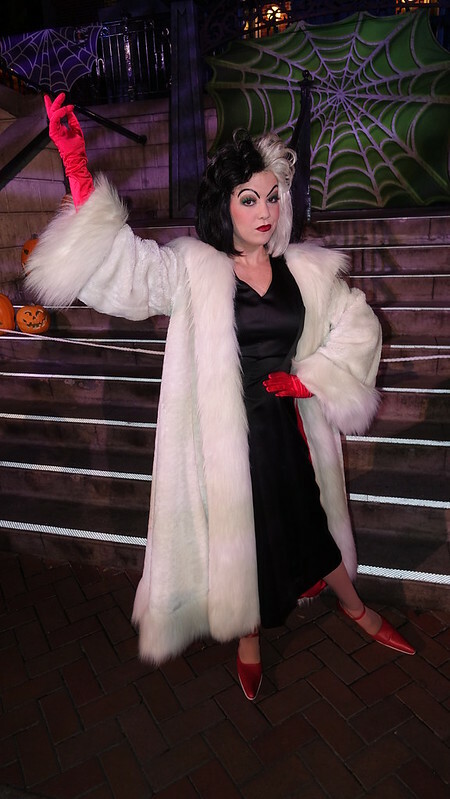 I had the opportunity to visit the first Mickey’s Halloween Party at Disneyland on Friday and thought you might like to hear about the experience. I looked at picking up my party wristband in Frontierland, but there was an insanely long line that didn’t appear to be moving much, so I left the park to return through the main gates. Lines seemed long here, but they moved very quickly. They scan your ticket and place a wristband on your wrist, then you can pick up a candy bag and map. 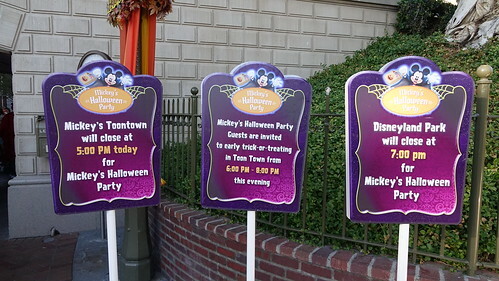 You can enter Disneyland up to 3 hours early only using your party ticket. Signs give you some info about the party. Mickey’s Toontown closes early for the pre-party. It will close 2 hours before regular closing and re-open 1 hour before the party begins. If your party begins at 6pm, the pre-party is 5pm to 7pm. If your party begins at 7pm, the pre-party is from 6pm to 8pm. 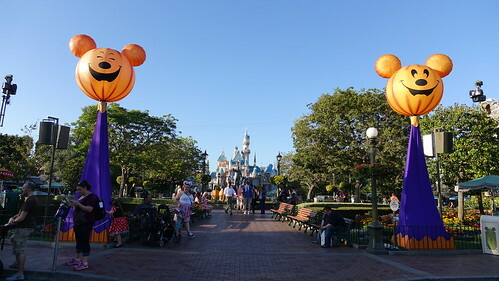 Festive balloons are added within the park to set the stage for the fun and to help guests find candy trail stops. I arrived at the toontown entrance at 5:30 and found a big cluster of people just standing around. I walked closer to the entry point in front of it’s a small world because few people seemed to know what was going on. I was able to meet Donald and Daisy in front of City Hall with a short wait. 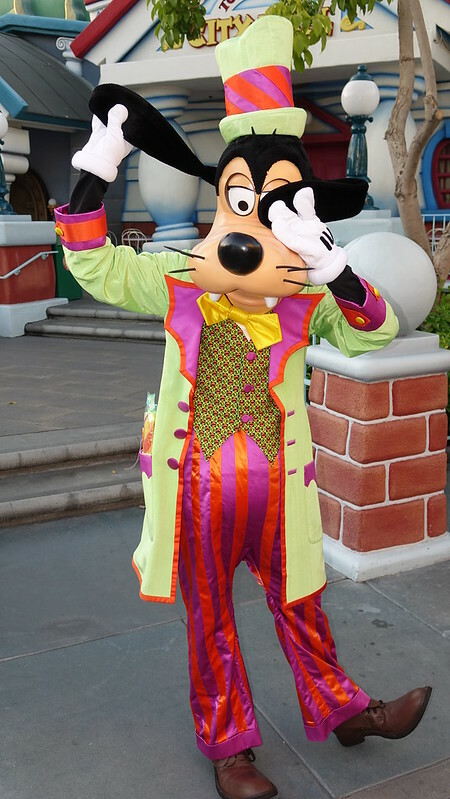 I then popped over to meet Goofy in his Candy Company outfit. I should have jumped right back in the Donald and Daisy line in order to see Mickey and Minnie, but hey, I didn’t know. 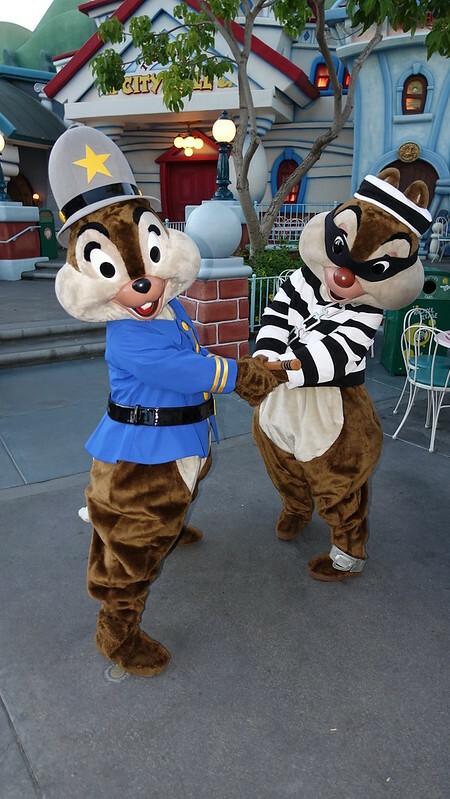 Chip was dressed as a Cop and Dale was a robber. You get these two and chaos is sure to happen. 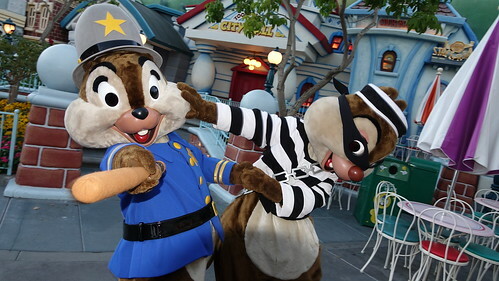 I think Chip was a bit aggressive with Dale. I hope Dale doesn’t file charges against him. Jack Skellington and Sally (day as well) They do have a special backdrop during the party. 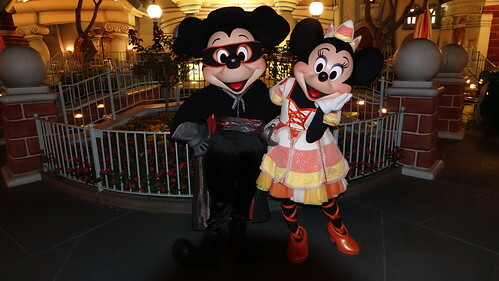 I really enjoyed my time at Mickey’s Halloween Party. 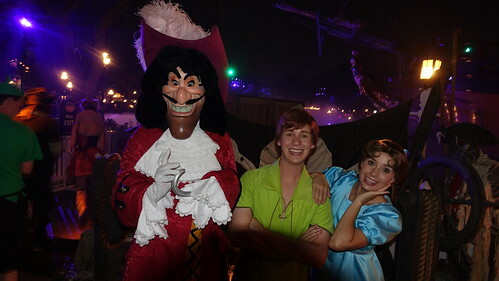 Character meet lines usually moved pretty quickly so more guests could get a photo with their favorite characters. Pre-party gives you extra time and unique costumes. Extra small entertainment like talking scarecrows and crazy pirates. No themed parade. 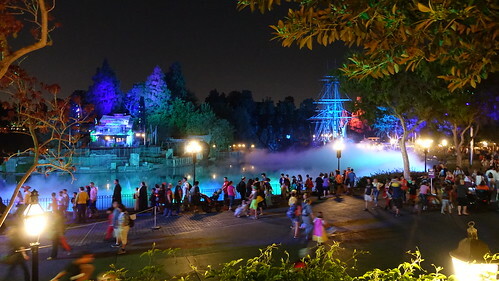 Paint the Night is the best parade I’ve seen, but I saw it on another night to take advantage of lower character lines. 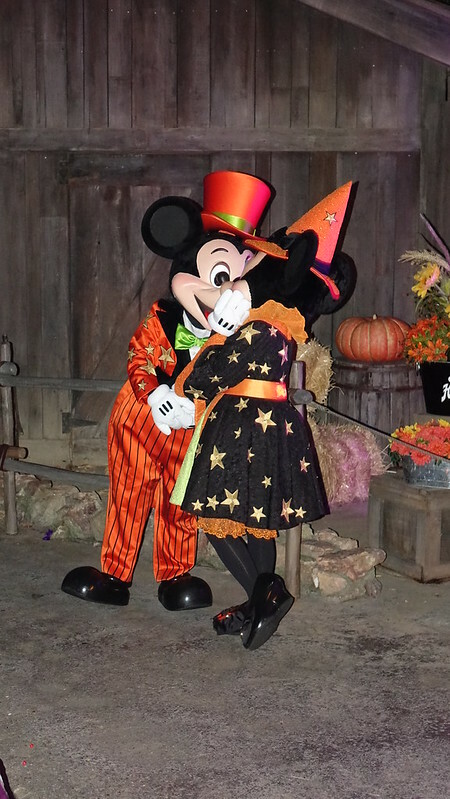 Boo-to-You in Disney World is really something special in Halloween season. No special Halloween show. 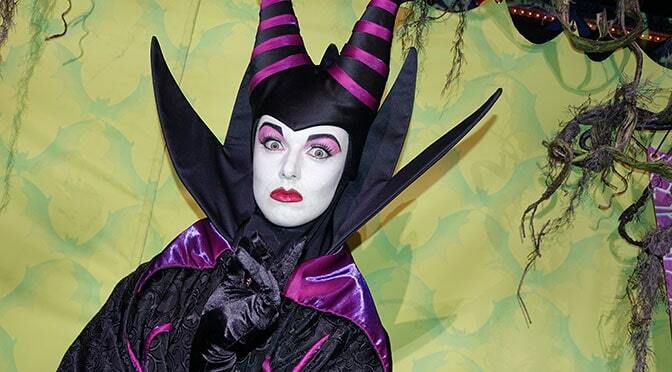 Disney World offers a special show (Sanderson Sisters) multiple times per night, but Disneyland does not. Arrive early! You can use an hour or hour and a half just to ride or enjoy a dinner. 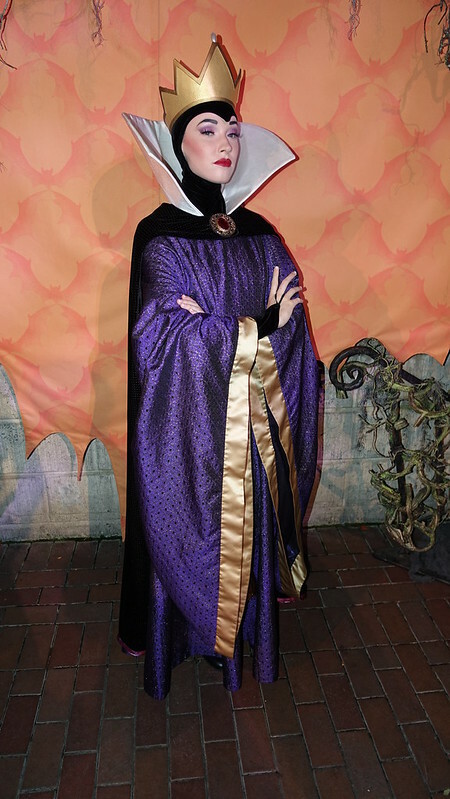 Don’t waste time waiting for characters you can meet during the day like Jack and Sally or most Princesses! Wait until the last hour to gather candy. Lines are really long early and non-existent late. You can fill your bag pretty quickly in final hour. 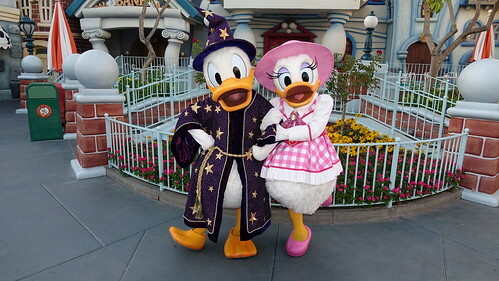 Arrive way early for Toontown pre-party and head right behind the gazebo in the main square to meet Donald and Daisy. 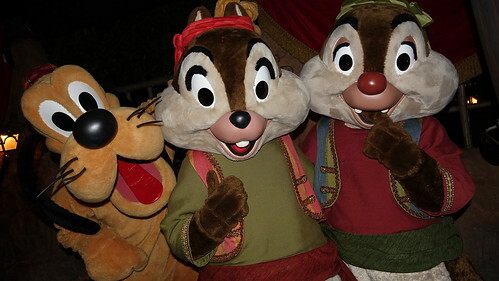 Immediately get back in same line to meet Mickey and Minnie, then meet Goofy / Chip n Dale. Pluto has no line. Don’t bother doing rides. You can do those all day with little or no wait. Disneyland opened at 8am and I walked around an uncrowded park for over 2 hours riding all I wanted. 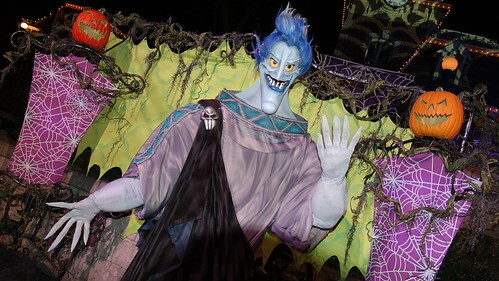 Haunted Mansion Holiday was walk on for 2 hours and Space Mountain Ghost Galaxy rarely topped 30 minutes. 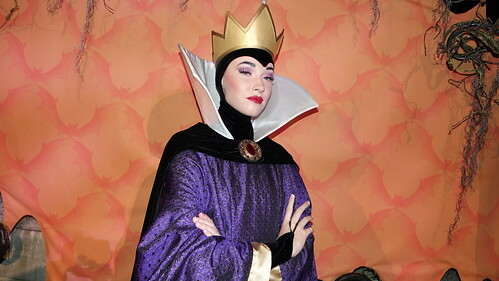 Each offers Fastpass as well. Don’t spend party time watching Paint the Night. 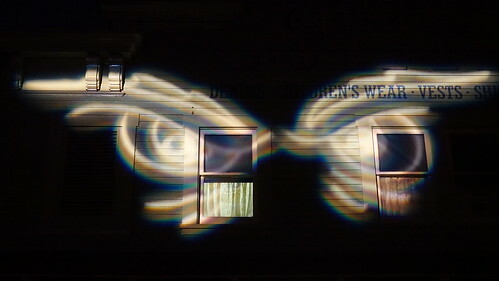 It’s amazing, but watch it ANY other night! 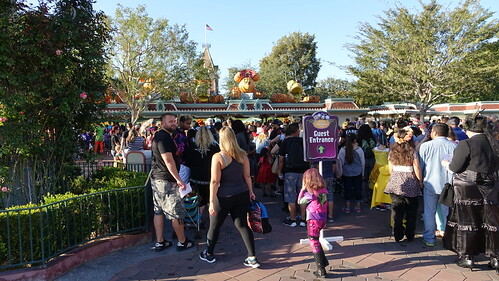 You can have a great, uncrowded view of Halloween Screams half way down Main Street. Everyone stuffs themselves into the hub area. Annual Passholders get a FREE gift! 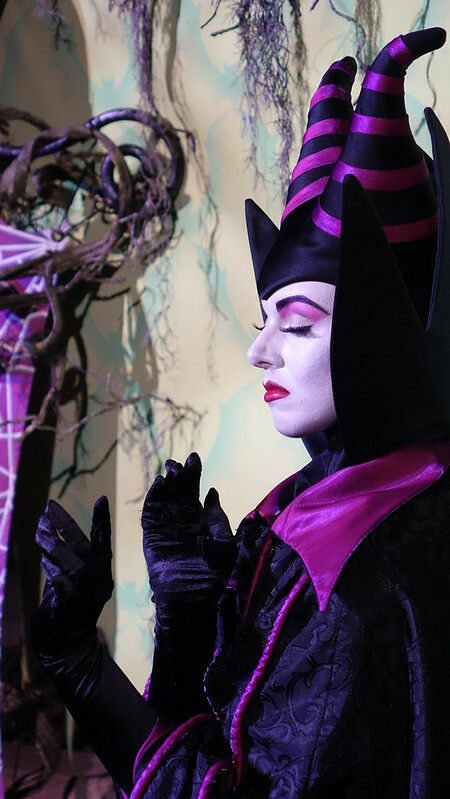 You’ll receive a black Disneyland 60th draw string bag and special treat by visiting the Opera house. Also, there’s Mickey cartoons showing in Great Moments with Mr. Lincoln if you need a little A/C break. There is no such thing as a “best party.” Every party will sell out! As of September 27, only October 27 and 29 remain! 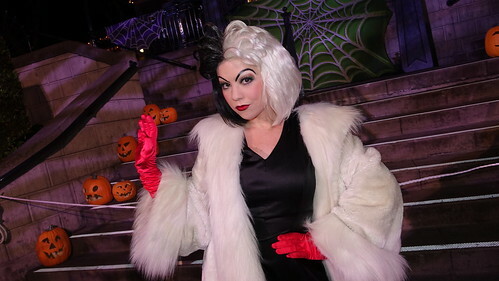 As a Character Locator, I give my vote for favorite US Disney Halloween Party to Disneyland! With only 2 parties that aren’t sold out already, I think others cast similar votes. I had such a nice time in Disneyland and at the party that I’ve actually considered flying back out with my little girl. Be sure to share with friends on Facebook, Pinterest and such below! Yes! This is great to have for Disneyland because I know how valuable your information is for Disney World. 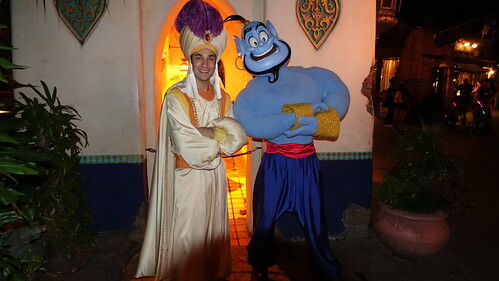 Thanks :) btw do all characters(mainly Villains) have a PhotoPass photographer with them? 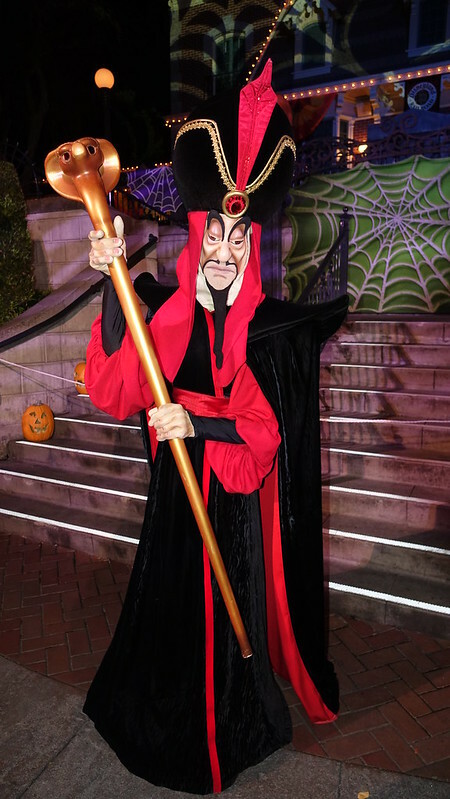 First time doing the Halloween Party at Disneyland, so not sure if it differs from WDW’s Halloween event. I’m glad your party went better than mine; I went last night. Met Rabbit & Tigger, then Pooh with about a 20 minute wait starting at 6. 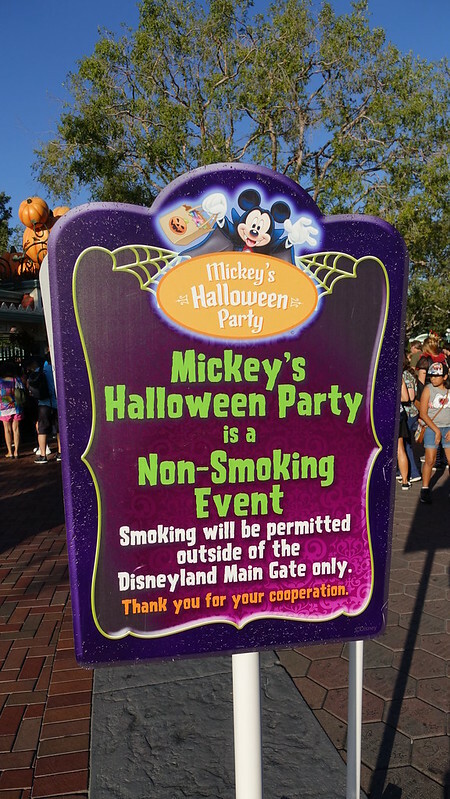 Wish we had known about Toontown pre-party, did not really see this advertised anywhere and I thought I heard they had stopped doing it. 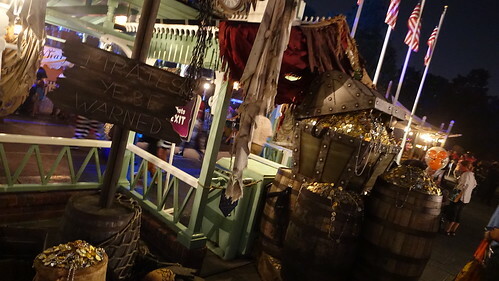 Got in line for Captain Hook & Mr. Smee, they switched out with Peter Pan & Wendy (did not see/hear about Jack Sparrow rotating with them at any point). That line was about 30 minutes. Then I made my way into the disastrous Mickey/Minnie line. I waited 60 minutes and only made it 2/3 of the way through. No idea why it was taking so long but when they took their second cheese break I gave up in favor of Paint the Night. 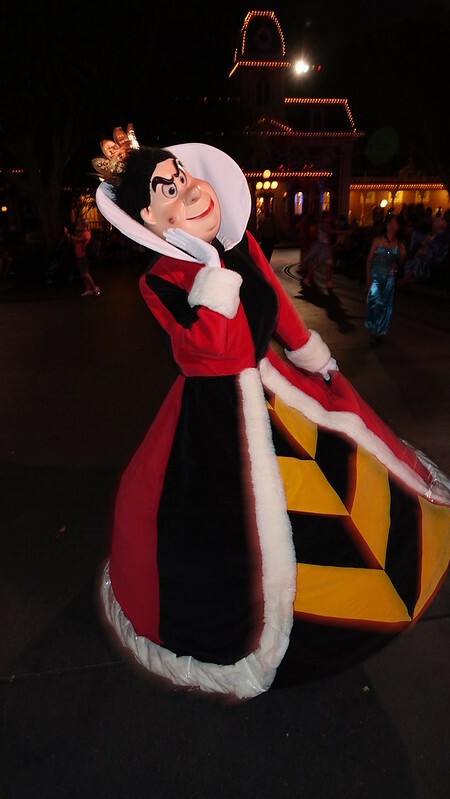 Met Queen of Hearts while she was strolling. Watched parade and fireworks. 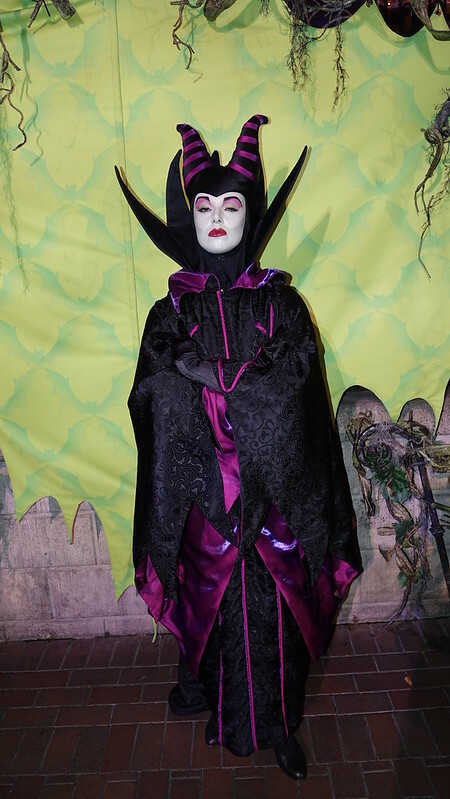 Let the hordes of people flow out of the park before joining the villains line at 10:15. Ooops, the line was cut for the evening. Very disappointing. We left immediately after that rather than continue fighting character lines. The park itself did not seem very crowded. We did not get as much candy as I expected, even at the end of the night. 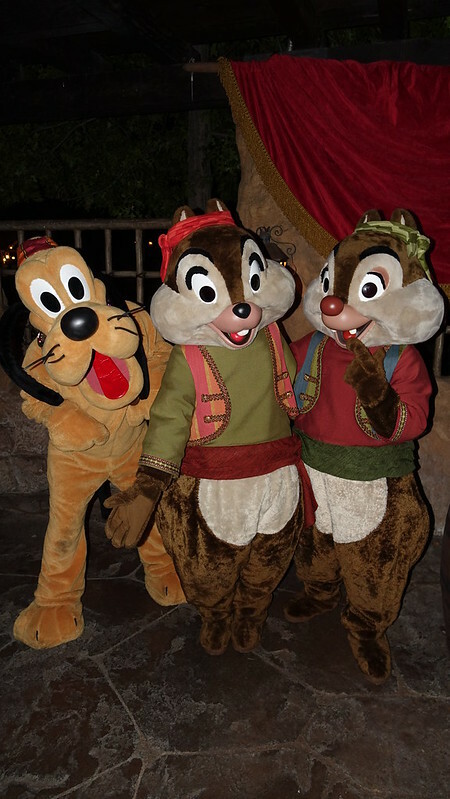 I think I prefer WDW’s party. Easier to make some sort of plan there as more info is available regarding it. 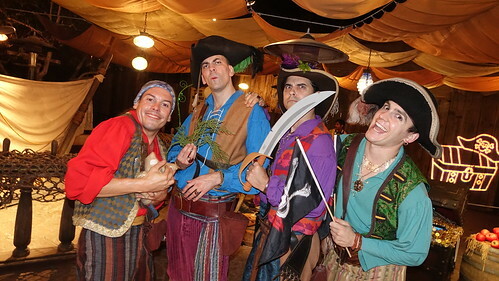 Peter Pan & Wendy, as well as Captain Hook & Mr. Smee, were signing. I was specifically told that none of Pooh & Friends would be signing. 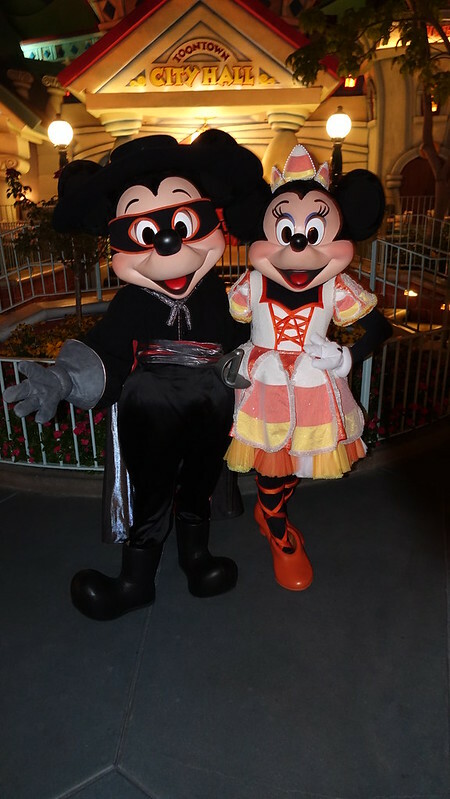 We did the Halloween Party last year at DL and loved it! 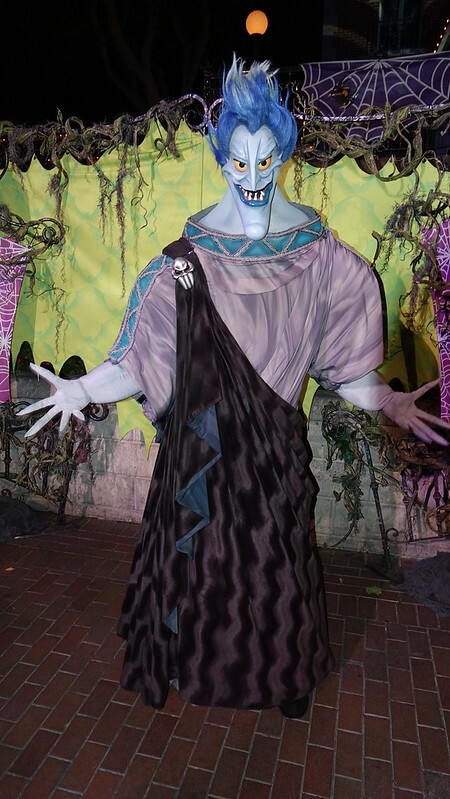 Interesting to see Jack and Sally are greeting all day now, last year you could only meet them at the party. Our lines were a lot worse too it sounds like, but we were there mid Oct.
Candy included all types of name brand chocolate and other candy types. 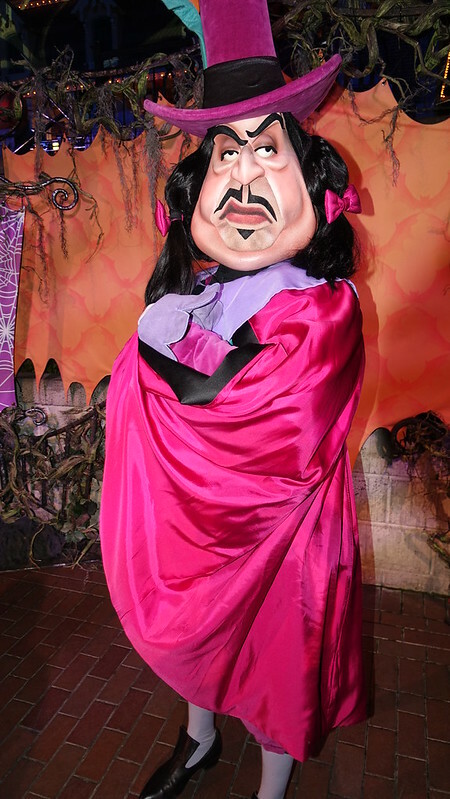 If you pick up Anna/Elsa FP for anytime other than park opening, you’ll still wait in a 45-60 minute line. 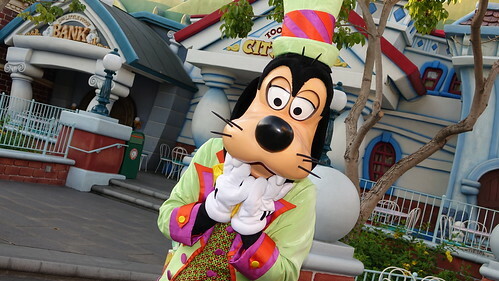 Can you confirm what time the toontown party is available? 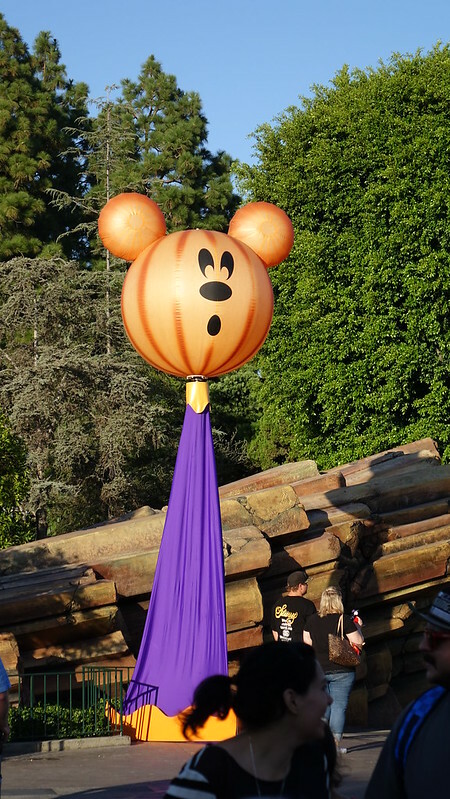 I heard it was only from 5-7 but you are saying that mickey and minnie came back out at 7:30. does this last all evening? I did confirm the pre-party. 5 to 7 for 6pm party or 6 to 8 for 7 pm party depending upon Party start time. 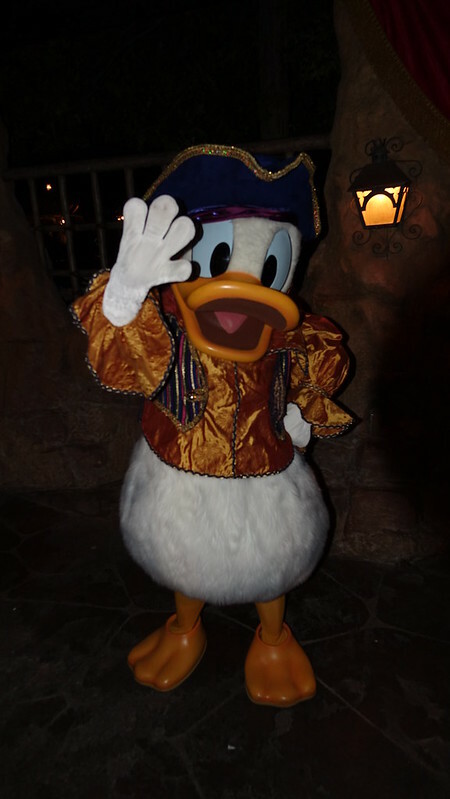 Ahh I have ordered DLR autograph books just for the one night we are at MHP. Did anyone sign? I didn’t pay close enough attention to know if anyone signed. I know they specifically stated that the villains didn’t. Most of these characters meet in some form during the day and sign then. Thank you for the review & REALLY makes me want to go back out there again! I am not sure if it’s bc I’ve been to WDW several times over the last few years but there is something super special about Disneyland! ❤ I had an incredible time in January when I got to go and can’t wait to get back out there again! ☺ Loved your pics! 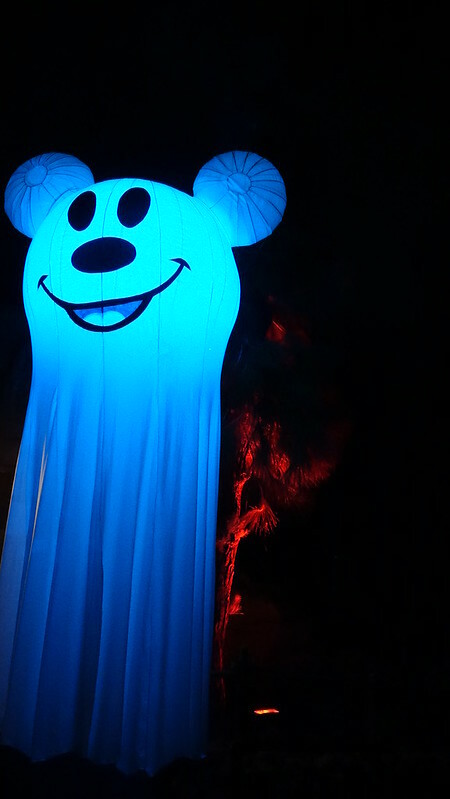 Last year, there was a fantastic Halloween parade with characters in their “costumes.” But, due to the 60th anniversary they’re only showing Paint the Night this year. 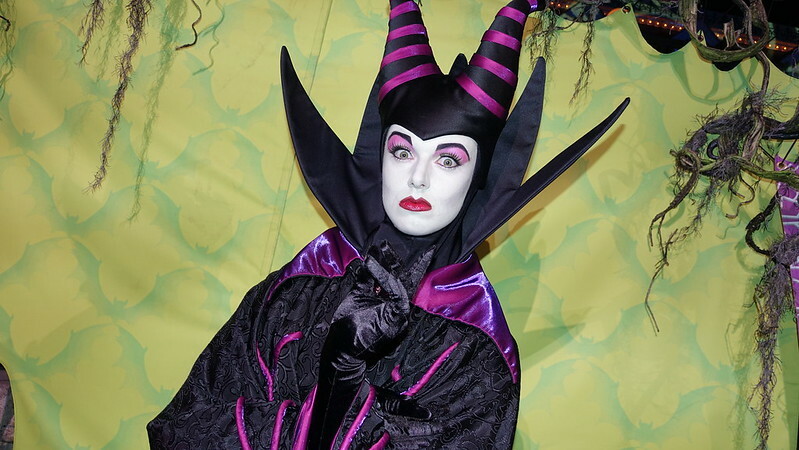 I’m really disappointed and I miss the special Halloween parade. Yes, the Cavalcade was cut this year.